Whether it’s a multinational corporation or startup, risks cannot be avoided. It’s a part of any new or routine endeavor. The best way to reduce the negative impact risks may have on your business is to incorporate risk management techniques into your business structure. In this post, we will discuss visual risk management techniques that you can use during each stage of your risk management strategy. Risk management is a process in which risks are identified and controlled proactively. It allows businesses to improve their chances of success by minimizing threats and maximizing opportunities. Key stages of a risk management process are identifying risks, analyzing risks and planning to mitigate risks. These are detailed below along with risk management techniques you can use. The risk management process begins with identifying risks in advance once you have set the goal. Identifying risks should be done early in a project and shouldn’t be done in the middle of or during a project, as it may be too late. The following visual risk management methods can be used to identify risks beforehand. Decision trees are used to make decisions when you are faced with multiple options. It allows you to assess the values of outcomes and possibilities of achieving them. This, in turn, helps make a better decision. 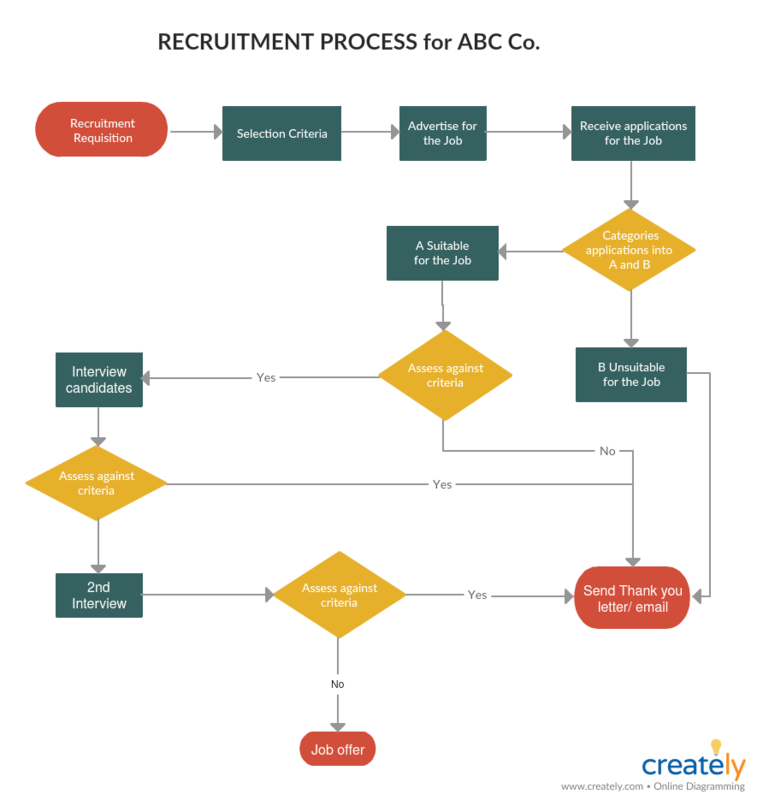 Step 1: Identify decisions and prepare a decision tree diagram based on decisions, costs, and rewards of uncertain options available to you. An influence diagram is used to represent the summary of information of a decision tree. It shows variables that are known and unknown when making a decision and the relationships that exist among them. Rectangles indicate decisions, ovals represent uncertainties and values or the required outputs are indicated by diamonds. 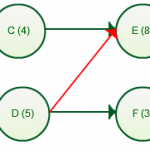 The influence each variable have on the other is represented by arrows. Step 2: Consider the risks and performance factors that may have an influence on achieving your objective. Step 3: Recognize secondary factors that affect uncertainty associated with the performance factors. 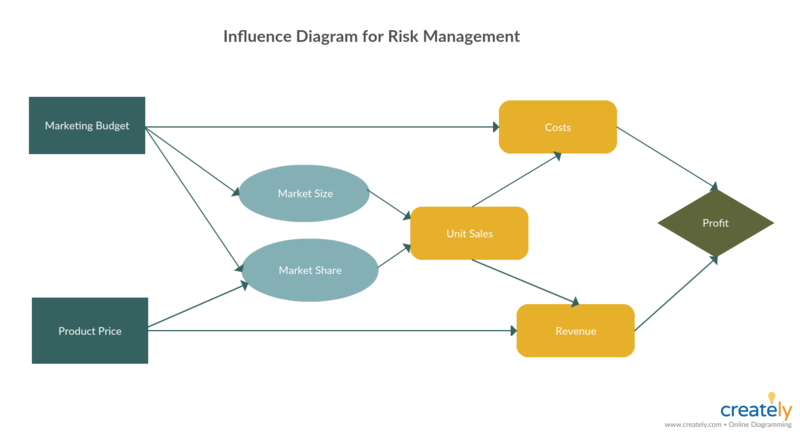 Step 4: Identify second-order risk factors that can influence secondary factors. Step 5: Continue to figure out what factors influence uncertainty until all key risks are identified. Whether you are planning a new project or developing a new process, a SWOT analysis can help you get insight into any risks that may occur. It helps you identify the Strengths, Weaknesses, Threats and Opportunities associated with the event. 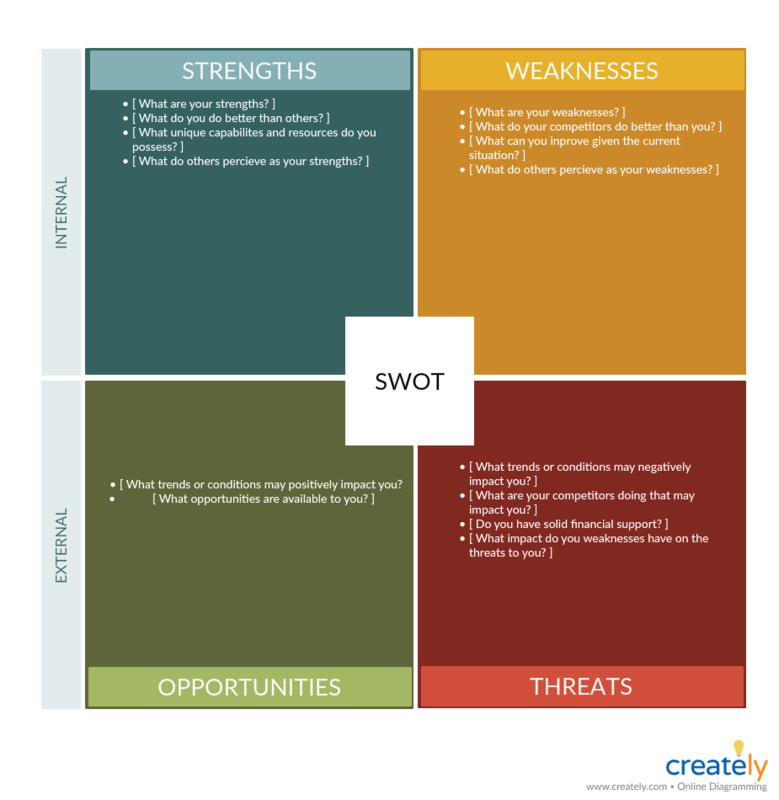 To learn how to use a SWOT analysis refer to our article SWOT Analysis: What, Why and How to Use Them Effectively. 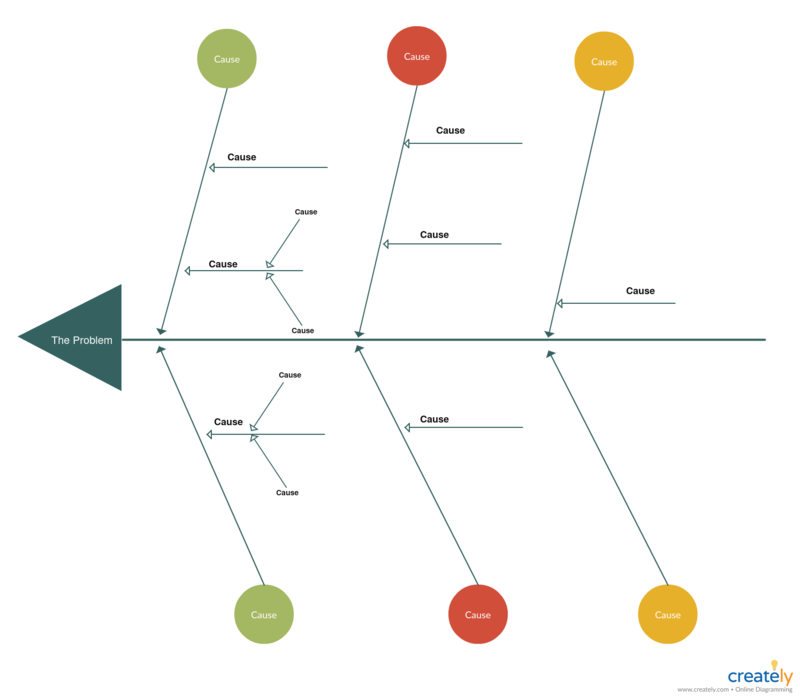 Also known as the Ishikawa diagram and the cause and effect diagram, the fishbone diagram is used to break apart a problem and identify the root causes behind it. It works backward as it helps identify the causes of a certain effect. Our Ultimate Guide to Fishbone Diagrams covers how to use a fishbone diagram in depth. Process maps help visualize the major steps and relationships between them in a process. By having the people who actually perform it outline the process using a process map, you can check for its accuracy. This also helps identify bottlenecks and blockers in advance. Step 2: Bring together everyone who is involved in performing/ developing the process and brainstorm all information related to the process, such as inputs, outputs etc. Check out The Easy Guide to Process Mapping to learn about what process maps are, process map symbols, types of process maps, etc. Once you have identified the risks, the next step is to assess the risks to see what kind of an impact they have on your business and current projects. 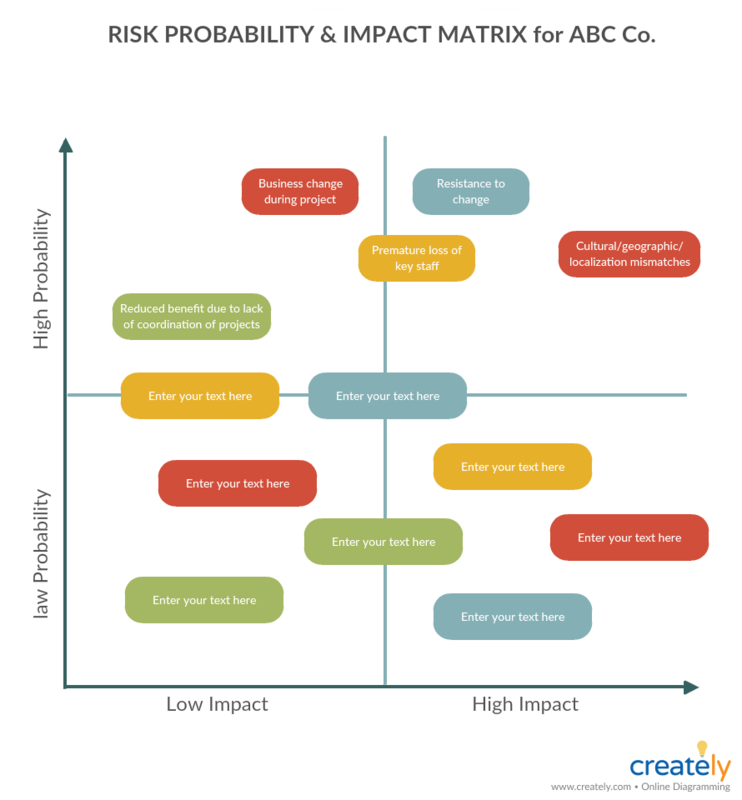 By correctly analyzing the risks, you will be able to prioritize as to which risk has the highest impact on your business. Qualitative risk analysis – here the risks are analyzed based on the likelihood of them occurring and the impact they may have on projects, business etc. Following are a few risk management methods you can use to help during the analysis phase of the risk management process. This is a tool that can be used to do a qualitative risk assessment. It helps to evaluate the relative impact (high or low) of a risk and the probability of its occurrence (high or low). Probability- The probability of a risk occurring can range from 0% to below 100%, therefore it is an event that may occur. While the risks on the bottom left corner can often be disregarded, the risks placed on the top right corner should be given top priority. 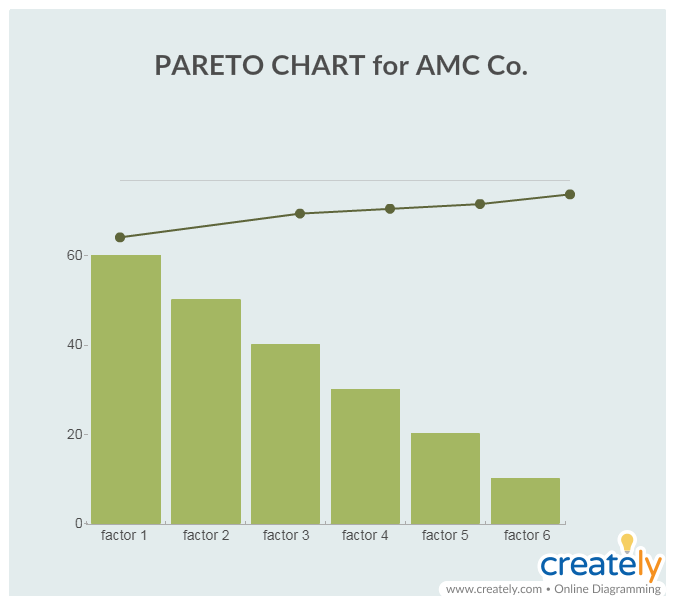 Pareto diagrams are a great way to identify which problems should be prioritized based on the cumulative effect it has on a system. While the length of the bars represents the frequency or cost (time or money), the bars are arranged with the longest bars to the right and shortest bars to the right. This way it depicts which situation is the most significant. 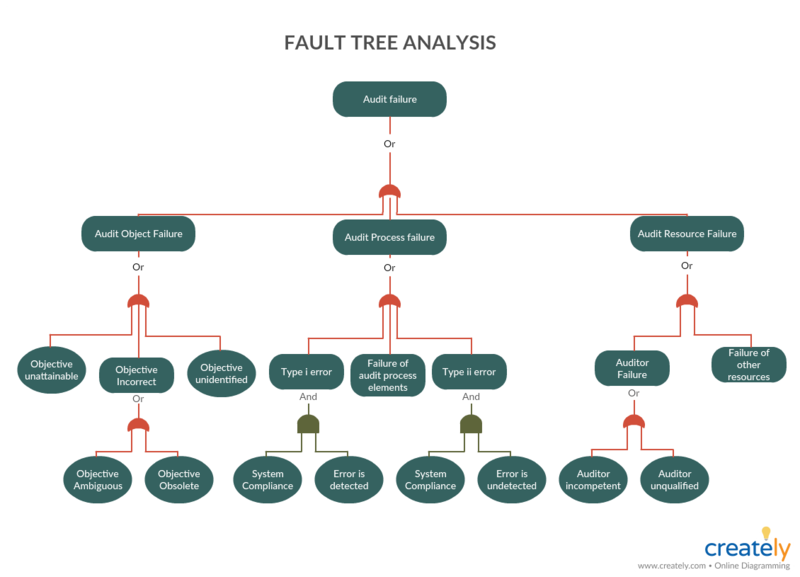 The fault tree analysis helps to identify the probabilities of various outcomes from given faults and failures. 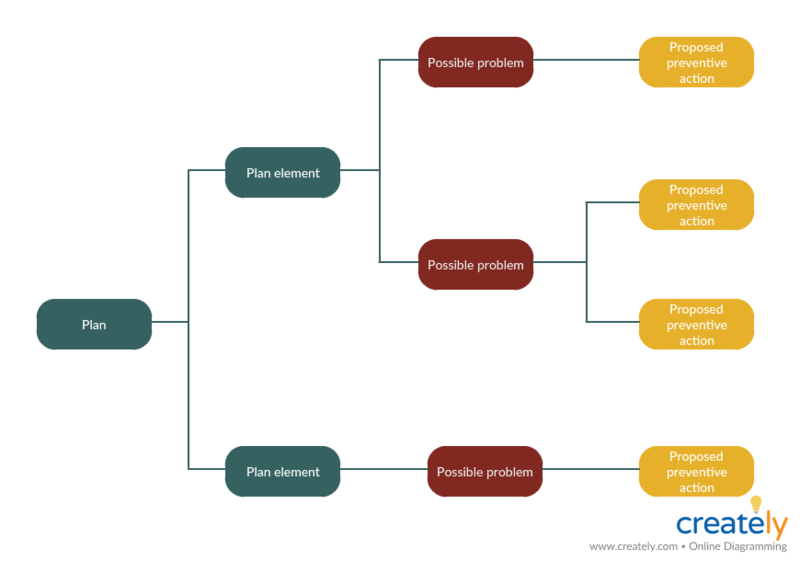 The fault tree analysis helps to identify the likelihood of an event occurring by visualizing a certain event at a top and the conditions causing that event. In the planning phase of the risk management cycle, you need to pay attention to mitigating risks by finding solutions and controlling them. Starting from the risks that have the most severe impact on your projects or organization, find out how to minimize their effect. 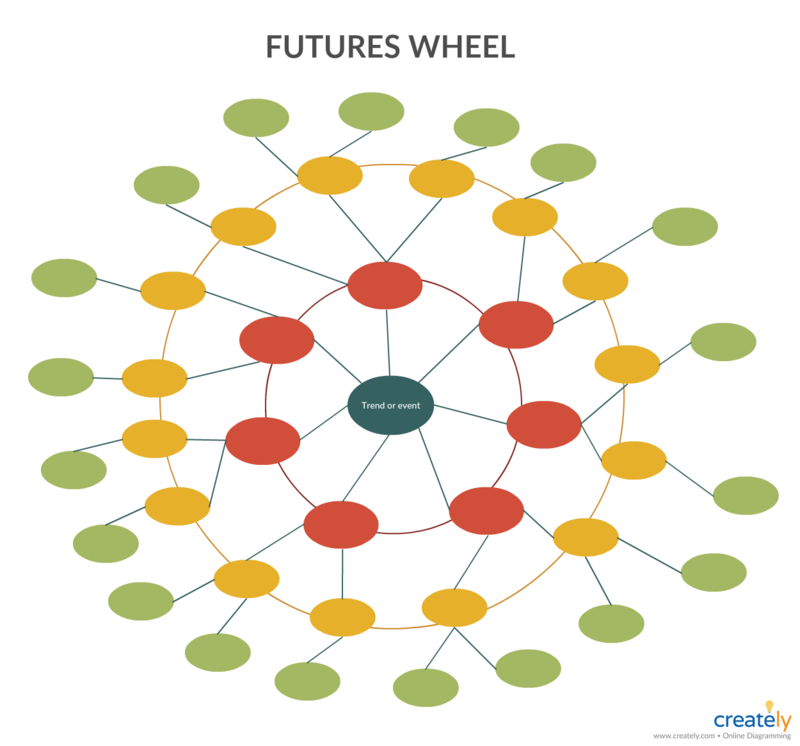 Futures wheel is a tool that you can use to identify direct and indirect results of a certain trend, event or decision. Step 1: Identify the change. This could be a problem or a potential risk. Step 2: Brainstorm possible consequences of the trend. Step 3: Brainstorm the secondary or “second-order” consequences related to the “first-order” consequences you identified earlier. You can continue to expand the diagram by adding several layers. Step 4: Once the futures wheel is complete you can get an overview of the direct and indirect consequences of the change you want to implement. Step 5: Take the negative consequences and identify possible actions you can take to control them. The process decision program chart (PDPC) help you look into what might go wrong in a plan that is under development. You can use the chart to alter your plan in order to prevent the problem from occurring and to prepare a contingency plan to mitigate the risk. Step 1: Create a tree diagram of the plan, listing the objectives, main activities and the tasks that should be completed under each activity. Step 3: If the consequences of the problems identified earlier are insignificant leave them out. Add the significant problems related to each task on the tree diagram as a fourth level. Step 5: Consider how practical each countermeasure is in terms of time, resources, cost etc. You can use an X to mark the impractical solution and an O to mark those that are practical. Refer to this article on PDPC to learn more about the tool. 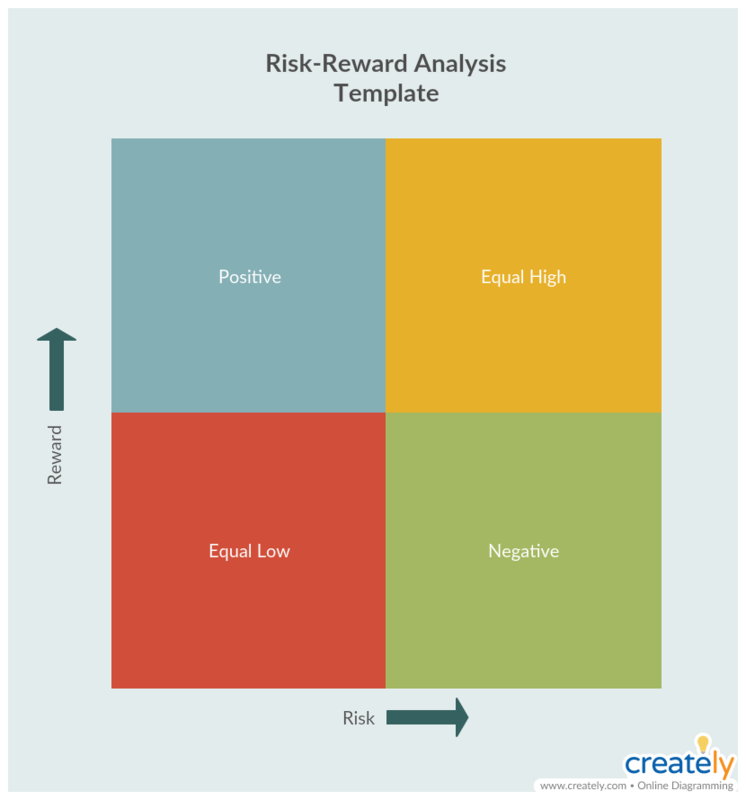 Risk reward analysis is a tool you can use to evaluate the risk and reward profile of different options. 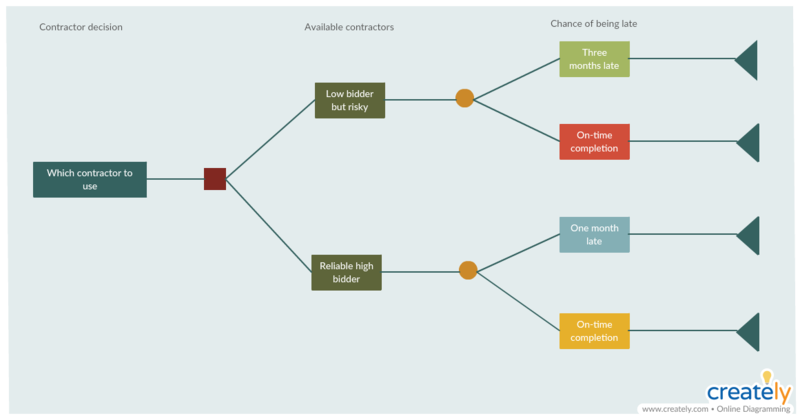 Step 3: While some options may have a positive risk-reward profile, take time to see whether you should spend time on mitigating risks of other options as well. The risk management techniques we’ve discusses above will help you identify, analyze and control risks that may occur during your projects or the development of new business processes. Do you know of any other visual techniques that can be used to manage risks? Let us know in the comment section below.